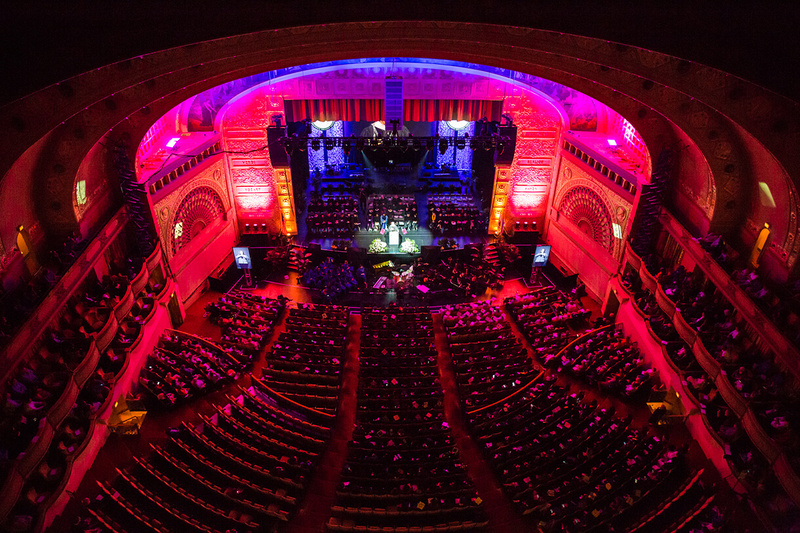 On May 12 and 13, Columbia College Chicago held its Commencement ceremonies at the historic Auditorium Theatre. More than 2,000 graduate and undergraduate students were honored in four ceremonies. The college presented honorary degrees to one Columbia faculty member and three alumni: MacArthur Fellow and renowned photographer Dawoud Bey, music executive Paul Broucek ‘74, award-winning Chicago Sun-Times journalist Mary A. Mitchell ‘91, and Chicago Children’s Museum President and CEO Jennifer Farrington ‘93. The ceremonies occured on Saturday, May 12, at 10 a.m. and 2 p.m., and on Sunday, May 13, at 2 p.m. and 5:30 p.m.
Congratulations to all of our graduates! Don't forget to share your big day with #columbiachi2018. Saturday, May 12, 10 a.m.
Saturday, May 12, 2 p.m.
Sunday, May 13, 5:30 p.m.